With the no change window in effect throughout the week, and running through until the 2nd week of January 2015, there were no server deployments to ether the main channel or the three RC channels during the last full week of 2014. The Experience Tools RC viewer was updated on Monday, December 22nd to version 3.7.24.297643 (although the Alternate Viewers wiki page has yet to be updated). This saw the viewer brought up to parity with the current release viewer. Early January 2015 should see the Windows and Mac viewer start to use the new viewer tools chain the Lab has been working on, and the updated autobuild process.One of the hopes with the Windows switch-over to Visual Studio 2013, and the availability of Visual Studio Community 2013, is hoped that over time, many (or all) of the differences between the open source build configurations and the Linden versions can be eliminated, other than when using proprietary packages. 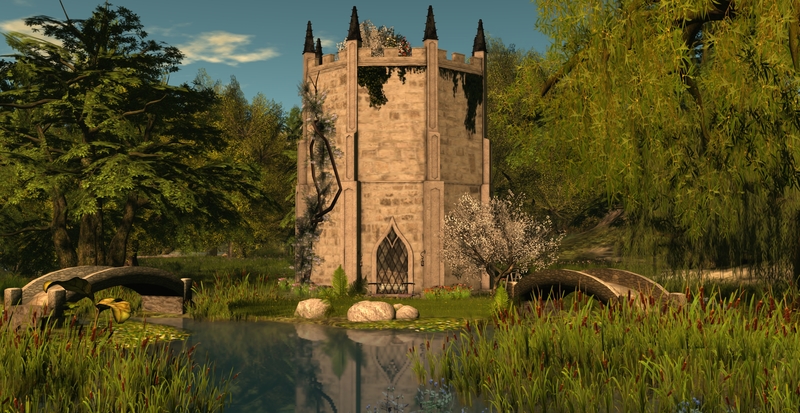 Oz Linden has been working on the Linux side of things in order to get the Linux builds working with the new tools and gcc 4.6; he’s also actively soliciting for assistance from TPV developers for help in this. Once the tools work is completed, it would appear that “avatar awareness” (aka “radar”) for the official viewer may well be heading towards the top of the list for new viewer capabilities, with Oz indicating he’d like to get to work on a specification for the capability. If not this, then quite possibly a further round of environment updates within the viewer, as noted in my week 51 report. JIRA BUG-8100 has been raised as a feature request to provide an additional material map option alongside the existing diffuse, specular, and normal maps that allows a user to apply either a black and white map, or an alpha bit texture to mask out areas of a mesh and render them fully transparent (with a 1-bit edging). The JIRA has gained support and feedback from content creators (including the need for LSL from the outset, if implemented. Those interested / in agreement, should ensure they read the JIRA and WATCH it (remember, VOTE is not as strongly responded to by the Lab). Open-source Developers: Monday, January 5th. Simulator User Group: Tuesday, January 6th. Server Beta User Group: Thursday, January 8th. TPV Developer: Friday, January 16th. With thanks to Mona Eberhardt for the Open-source dev meeting notes and the BUG-8100 pointer. As always, please refer to the server deployment thread in the forums for the most recent news and updates. Minor server change to help configure the texture and mesh CDN. No further updates to any of the SL viewers (release, RC or project) since my last viewer release summary. Please refer to my Current Viewer Releases page for the current status of SL and TPV viewers. However, as I noted in a separate report, the most recent AMD update to their Catalyst™ drivers, version 14.12 does not resolve the problem of failing to display rigged meshes unless the viewer’s hardware skinning is disabled. I’ve also been informed that this issues also extends to the most recently AMD / Nvidia Omega driver update. We’re getting close on that … there are some last-minute things to take care of, and we’re being extra careful that we have the systems in place to handle the key-value storage usage. How much load that will create is some interesting guesswork, but it’s better to be over-prepared. However, with the holiday season now fast approach, and with it no change windows for server and viewer updates popping-up, it may be that the project doesn’t make it to a deployment beyond its current beta status until the new year. Once Experience tools are deployed, the Lab will seek to address issues through the Simulator User Group meetings. However, if there is sufficient demand in terms of issues raise for discuss, etc., during the Simulator UG meetings so a to warrant a separate meeting, they will look into doing so. There’s another chat server update this week. It’s pretty minor, but you shouldn’t see the problem where it gets way behind and then starts delivering ancient (more than 5 minutes old) messages. I’m still chasing the main bug but this should make the recovery faster and less confusing. The new code is on only one of the server cluster machines but will go to more this week, assuming we don’t see new problems. So far it’s looking good. He went on to comment that, while a complete overhaul of the group chat system is unlikely, simply because it is unlikely to result in a significant enough improvement in things, despite recent improvements. “the servers still spend more work updating your chat member lists than it does sending messages. That’s just not right.” So it would seem further tweaking of things will continue in 2015. Tuesday, December 16th will be the last Simulator User Group meeting for 2014. The following notes are drawn from the TPV Developer meeting held on Friday, December 5th, as shown in the video below. Where relevant, timestamps are included in the article to allow for referencing to the video. My thanks as always to North for the recording. [00:30] The Benchmark viewer RC, containing the fix for the crash-on-start-up issue (see BUG-7776, BUG-7783), version 3.7.22.297128, was promoted to the de facto release viewer on Friday, December 5th – release notes. [21:15] One change that has come from the move away from the GPU table to benchmarking is that GPUs that may have been previously blocked (e.g. because they simply aren’t supported) are no longer blocked. This is because the Lab is no longer attempting to spend time on identifying GPUs that don’t work with SL. Instead, best efforts are made on the basis of the data obtained from testing a system’s GPU and applying the Lab’s own heuristics, but if a card doesn’t work with SL, the view being taken is that – it doesn’t work. A suggestion has been made where this is the case to provide some kind of feedback to the user informing them that their GPU cannot support SL. [01:10] Data from the HTTP Pipelining RC, version 3.7.21.296736, is still being being studied; however, it may not progress to release status. Whether this means further updates may be made or not prior to the viewer progressing further, isn’t clear. [01:30] The Attachments RC, version 3.7.21.296904, was withdrawn from the release channel on Wednesday, December 3rd, after being merged with the Maintenance release RC, 3.7.22.297131. However, the repository for the viewer which contains just the attachment fixes is being kept open for the time being to allow those TPVDs who wish to cherry-pick the fixes and incorporate them into their viewers. [02:15] It is anticipated the the Experience Tools project viewer (currently version 3.7.16.293901) and the Viewer-managed Marketplace viewer (currently version 3.7.21.296858) will both be moving to release candidate status “soon”. [13:24] The Lab is now “very close” to being able to build on both Mac (e.g. Xcode 6.1. with clang on Yosemite) and Windows (e.g. Visual Studio 2103) with the new Autobuild process “cleanly and with all the right stuff”. [16:26] Linux is lagging well behind Windows and Mac in terms of the new tool chain, and the Lab welcomes any help TPV developers are willing to provide to help get it updated. In the meantime, it looks likely that the Windows and Mac versions of the viewer built using the new tools and process will start to be deployed once everything is ready, rather than being held-up while the Linux version of the viewer is brought up to speed. [02:45] The Lab is continuing to “play with” how the CDN is working, making tweaks and changes, some of which have helped Highwinds make improvements to the service, and monitoring of the service is continuing. Thanks is again expressed to all those users who have helped the Lab pin-down issues. [03:20] Testing of the new Viewer-managed Marketplace (VMM) functionality is continuing on Aditi. Various issues have been logged against the project, and the Lab has been addressing them. The testing facilities on Aditi will remain available through the holiday season to January – although, as noted above, the viewer may move from project to RC status in that time. 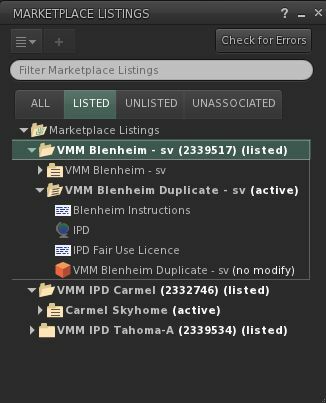 Beta testing is still very open to anyone with an interest in trying VMM out for themselves – particularly content creators and merchants who use the SL Marketplace, obviously. If you haven’t already availed yourself of the opportunity, the Lab encourages you to do so over the holiday period. Note that you must have the VMM project viewer and be on the VMM regions on Aditi in order to do so – see my VMM beta test and viewer overview. Also, merchants and content creators should note that the Commerce Team is liable to hold a meeting to discuss VMM in the near future. This will mostly likely be held on Aditi, and Brooke Linden is organising it. So please watch for notice of the meeting via the forums, blogs, etc. [11:11] No major news here, other than “work is continuing”. [14:27] In October, the SL Wiki was made read-only (editable by LL staff only) while it underwent maintenance, and has remained that way since. However, updates are now being tested, and it is hoped that the wiki will be unlocked to allow users to edit (where applicable) soon. [17:24] Some stats on viewers are being to be produced for TPVs once more, related to operating systems, and some have been produced (for the SL viewer) by GPU. This led to a request for the Lab to update an old Frame Rates by GPU table (bear in mind the table shown is very old, and doesn’t take into consideration a lot of more recent updates to SL which affect frame rates). This also came up at a recent Open-source development meeting, and Oz has passed a request onwards within the Lab to see if an updated for of the table could be produced. 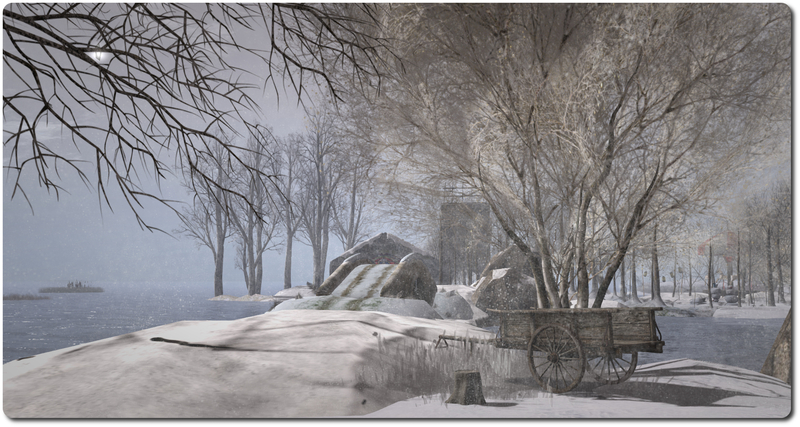 The next Firestorm release is scheduled for 18:00 SLT on Wednesday, December 10th, 2014. This release will, among other things, include the group ban capability. I’ll have my usual review available when the viewer is issued. Note: most of the following notes are taken from the Server Beta User Group meeting held on Thursday, December 4th, 2014. There was no deployment to the Main channel, following-on from the lack of any deployments to the RCs in week #48. On Tuesday, December 2nd, the Lab released a new Benchmark release candidate viewer, version 3.7.22.297128, which should address the VFS crash-on-start-up issue some users were experiencing following the promotion of the original Benchmark viewer as the de facto release viewer on November 10th (see BUG-7776, BUG-7783). 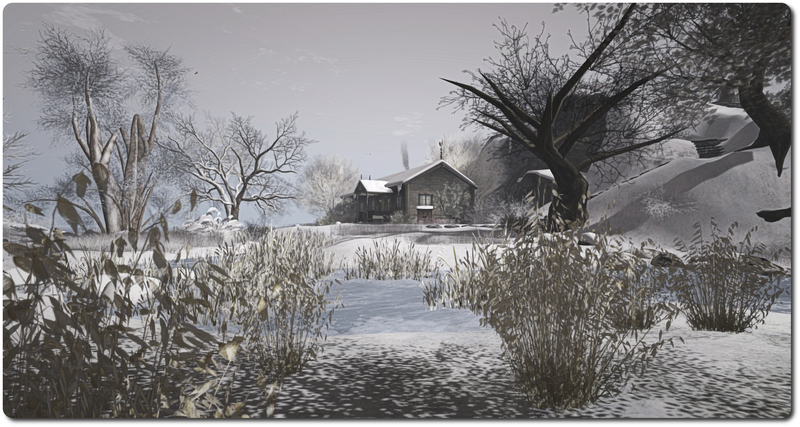 If you are still experiencing issues with the SL viewer on start-up, please give this RC viewer a try, and report your experiences via BUG-7783. The Maintenance RC viewer was updated on Wednesday, December 3rd to version 3.7.22.297131. This viewer includes a range of updates and fixes for voice, privacy, rendering, texture animation, avatar distortion, inventory management, sounds, mouselook in Mac, multiple UI fixes in script editor, pay flow, chat, stats floater, edit menu, etc. The attachment fix RC viewer (version 3.7.21.296904) has been withdrawn from the release channel, possibly pending further fixes to be incorporated into it. Simon Linden has carried out further work on group chat, so that if a server ever gets to the point where there is a bad message backup, instead of sending potentially “sale” messages, the server will drop those messages that are 5 minutes or more old which are sitting in the queue. The focus on this change is to eliminate issues where – as recently has been the case – back-end issues (rather than simply the weight of messages being handled by the chat servers), mean that messages stop getting sent out and start building up in a held queue; then when the back-end issue is fixed, users suddenly receive a flood of old and outdated messages that they likely have no interest in, due to the length of time that has passed while the chant server is “down”. Simon has also been working on the logic the chat server use to send messages to people, which should mean that as long as the chat service knows where you are, messages should now reach you somewhat faster. However, the logic behind what happens should you move between regions while engaged in a group chat still means that the group chat server to which you are connected will send message to the last region it knew you to be on; if you’ve moved on, then the simulator will inform the chat server of this, and the chat server will then perform a look-up to find out where you are. Even so, and while it may have been placebo, during a test at the end of the Server Meeting, it did seem there was less delay in receiving messages when moving between multiple regions & closing and re-opening group chat windows. We know this first release isn’t perfect and doesn’t have the full feature set we’d love to build, but it’s a start. Hopefully we’ll see some usages and those will show it’s promising for more attention and features.